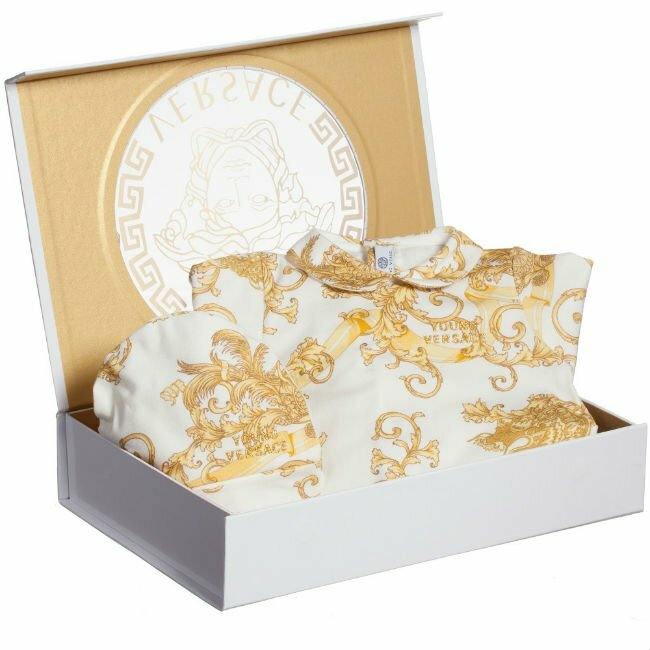 How adorable is this girls white cotton jersey t-shirt by Young Versace for Girl in a retro style featuring a design taken from the famous 'Versace Blue Jeans' aftershave fragrance, famous in the 1990's. Around the neck is pretty gold beaded trim that gives it an extra feminine look. 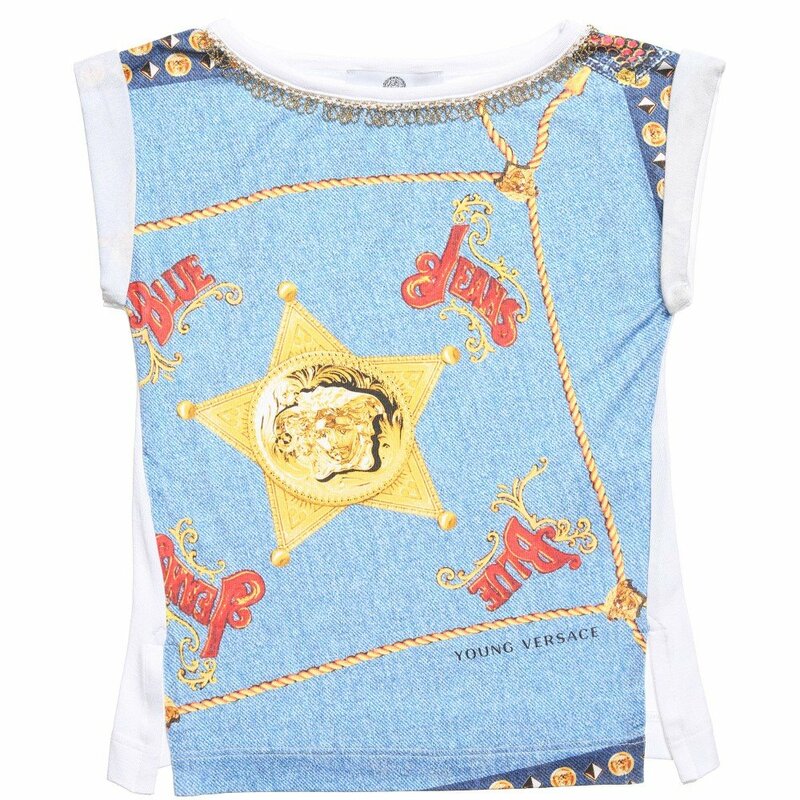 Complete the look with a denim skirt and cowboy boots. 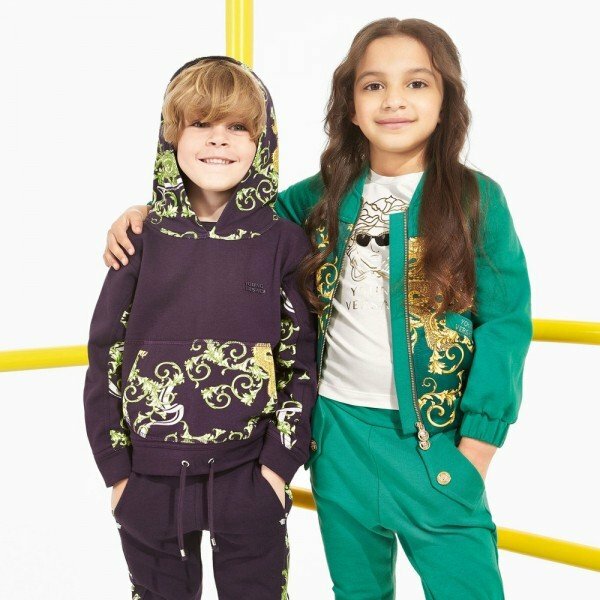 Adorable Mini Me Look for Girls Inspired by Versace Womenswear Collection Featured at Milan Fashion Week.